Barely one hour after the Government announced the new property cooling measures which kicked-in from Friday (6 July), home buyers thronged several developers’ hastily launched property sales. Property market observers suggest that over 1,000 units must have been snapped with buyers putting up an option fee before the deadline kicked-in. 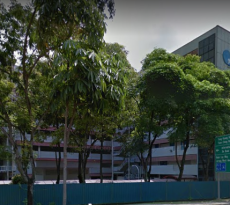 The Straits Times (ST) said that “the flurry of last-minute sales reflects strong liquidity and pent-up demand.” Some market observers said that ST made that suggestion in self interest, and pointed to Woodleigh Residences. 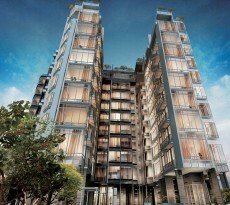 Woodleigh Residences and Woodleigh Mall will be landmark projects for the upcoming new Bidadari estate. The mixed commercial and residential development will be developed by ST’s parent company Singapore Press Holdings and Kajima Development. 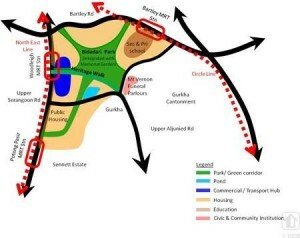 The joint-developers won the top bid of $1.132 billion for the 25,440 sq m site, which can yield about 825 private homes. The development will comprise about 161,460 sq ft of commercial space for uses such as shops and restaurants, integrated with a 65,000 sq ft community club, a 20,000 sq ft Neighbourhood Police Centre, a commercial bridge towards Bidadari Park, and an underpass to connect to the bus interchange. SPH, the largest media organisation in Singapore, recently said that it was going to count on property investments for revenue growth. 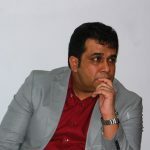 It suffered a 25 per cent decline in net profit for the second quarter of this fiscal year, as compared to the same period last year. SPH’s report on revenue decline came amidst the group’s massive job cut exercise for media personnel. 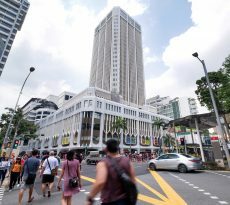 For foreign purchases of residential property, the additional buyer’s stamp duty has been raised to 20 percent from 15 percent, while for Singaporeans the extra charges apply only from their second home purchase, the Monetary Authority of Singapore, Ministry of National Development and Ministry of Finance said in a joint statement on Thursday.